As a tour & activity business owner, you’re probably juggling a lot of plates… running your tours, marketing your business, optimising your website, tweaking your strategy and finding partners. With so much going on, it’s not always easy to know how your company is performing. This is something we’ve wanted to solve with our new Business Performance Indicator tool. Think of this as a quick business health check to diagnose your performance in key areas. The questions cover what we’ve identified as the most important factors for success for tour & activity companies. Benchmark your performance against similar tour & activity companies. Get personalised feedback on your areas for improvement. Receive a PDF of recommendations after you complete the assessment. end HubSpot Call-to-Action Code To give you a preview of what the assessment offers, here are our top pieces of advice – as based on what we have seen work for the most successful tour & activity companies in the industry. 1. Have a “Book Now” button that leads your customers directly to a booking and payment process on your website. 2. Don’t rely on a contact form or email address for booking enquiries. Use a booking system and let your website visitors book as soon as they’re interested in your trips. 3. Display your live availability and capacity for each trip on your website. 4. Display your TripAdvisor reviews on your website using a TripAdvisor widget. This can be a great way to show your credibility. As a TrekkSoft customer, your Account Manager can help you set this up. 5. Avoid using stock images on your website. They tend to be generic and less effective than photos of your actual activity. 6. Improve your website’s user experience. Organise your layout and navigation so that users can find answers to their questions and solve your needs in as little steps as possible. Organize your pages and menu to reflect search moments and intentions. 7. Make sure your website is responsive (mobile-optimized fonts, menus and layouts) to boost your conversions. 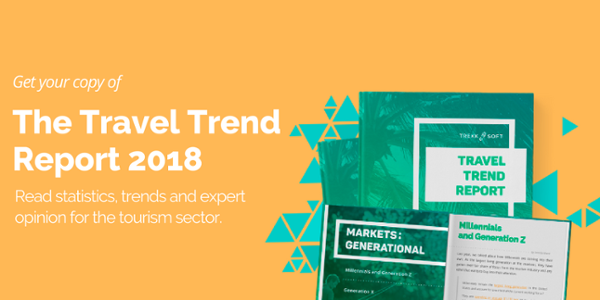 49% of all TrekkSoft bookings are currently made on mobile, up from 31% in 2016. 8. Make sure your website has a fast loading time.Check it here. 9. Have a booking system that works perfectly on mobile devices, like TrekkSoft. 10. Send an automated email or SMS to your customers before or after they’ve booked an activity to ensure great communication with your customers and share important information. This is part of booking systems like TrekkSoft. 11. 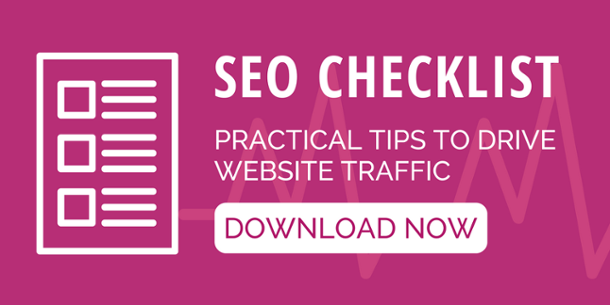 Do not focus on the same keywords throughout your website. Use different keywords for different pages. If you use the same keywords throughout, it makes search engines doubt about the accuracy of your pages and decrease visibility of both. 12. Use your keywords in your headlines, main paragraphs, and image captions. Don’t overload your content with keywords. Keep it readable. 13. Use alternate phrases and synonyms when talking about your trip. Try not to exceed 60 characters. Description isn’t a ranking factor but to helps attract clicks despite lower rankings. 15. Use your blog or static pages to cover questions, related keywords and other important information that your homepage and activity pages don’t cover. 16. Google’s algorithms cannot read texts in images so remember to include plain text descriptions on promotional pages with banners, for example. 17. Be present onGoogle Business. Fill out all available information fields (payment options, opening times, descriptions). 18. Make sure you have an active presence on the main social media platforms used by your audience. We recommend Facebook, Instagram, and usually Twitter. 19. Make sure not to overstretch yourself by trying to do too much on social media. A brilliant Facebook presence is better than a weak Instagram and Twitter. 20. Have a range of high-quality photos of your activities on your website, it’s one of the best ways to drive interest and get more bookings. 21. Stay on top of your game by reading about marketing and business best practice through books, blogs, and other resources. The TrekkSoft blog and library are great places to start. 22. Sell via marketplaces like Viator, Expedia and GetYourGuide. You can automatically connect your live inventory using TrekkSoft. In our research, we found that successful companies use an average of 3 OTAs at a time. 23. Don’t overstretch yourself – 1-3 marketplaces might be enough for you, especially if you’re already driving a good amount of bookings through your own website. 24. Distribute your tours via your local tourism board. At TrekkSoft we partner with destinations who help to distribute their suppliers’ activities. If you feel your destination would benefit from this, why not introduce your tourism board to us? 25. Let partners, agents and resellers resell your tours. 26. Manage your online, offline, and agent bookings using one online system. With TrekkSoft, you always have the most up-to-date view of your sales from all channels. 27. Let your agents process point-of-sale bookings with a phone or tablet. 28. Make sure your business has a TripAdvisor profile. 29. Use our TripAdvisor checklist to help you boost your ranking once you’re set up. You’re ranked on the frequency, quality and recency of your reviews. 30. Have a rating of 4.81 on TripAdvisor. This is the average of the most successful companies using TrekkSoft. 31. Aim for a 5.00 rating! 60% of the most successful TrekkSoft users have this flawless rating on TripAdvisor. 34. Write about your tours with detailed descriptions, images/videos and testimonials. 35. Write relevant content about your city or region to emphasise your local presence and knowledge. 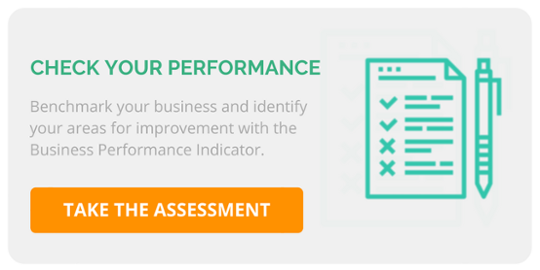 You can use the Business Performance Indicator now to get a personalized action plan and score for your business.